Healthy and Confident Singing Voice: Singing and Exercise- How can working out help your singing? Singing and Exercise- How can working out help your singing? As a singer, your body is your instrument, so take care of it by exercising and eating well. Exercise has many benefits for your singing. 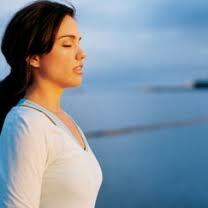 Keeping in shape helps posture for singing and improves breathing. You will have more control over your breath, be able to sing longer phrases, have more endurance, and feel better about yourself by working out just a few days a week. You will also be more in tune with your body and, just like an athlete, the more awareness you have over you body, the greater your success. Moderate aerobic exercise on the days that you sing warms up the body and voice and gives you energy and stamina. Cardio activity such as walking or jogging and yoga or pilates help you breathe better and keeps you grounded. Exercise is one thing you can control if you are in a show or have a busy performing schedule. It is also something you can use to balance yourself if you feel overwhelmed. Walking is a great form of exercise because it gets the body warmed up (and the voice to a certain extent). It gets the lungs working how they need to in order to sing well by cardio activity and getting the heart rate up. When walking or jogging, breathe as you do for singing. Keep your breath low and expanded in the lower back and low abdominals, your sternum and ribcage flat and a low larynx with an open throat. Be aware of any straining in your jaw or neck. Join me in a challenge, add cardiovascular exercise at least 2 times per week and then sing for the next two weeks. What effect does it have on your singing?